Marc De Maar (UnitedHealthcare) soloed the final 6km in fine style to grab stage five of the Tour of Britain on a day that shook the race and the general classification to bits. The champion of Curacao looked to be down and out when he, Paul Voss (Endura Racing) and Jeremie Galland (Saur-Sojasun) overcooked a right-hander in the business end of the stage from a 23 strong group that had distanced the main peloton. As Galland clutched his collarbone, De Maar hopped to his feet before riding back up to the chase and promptly attacking. In the end his margin of victory was comfortable. Sep Vanmarcke (Garmin-Sharp) won the sprint for second and in doing so stopped a UnitedHealthcare one-two; Boy Van Poppel was third. The real damage however was done by the splits in the race that saw race leader Mark Cavendish (Sky) roll in over ten minutes down. In fact the only Sky rider to make the lead group was Christian Knees: a remarkable turn around for the British team in just 24 hours. The day’s other winner had to be Jonathan Tiernan-Locke (Endura), who defended his place near the top of the GC with three stages remaining. 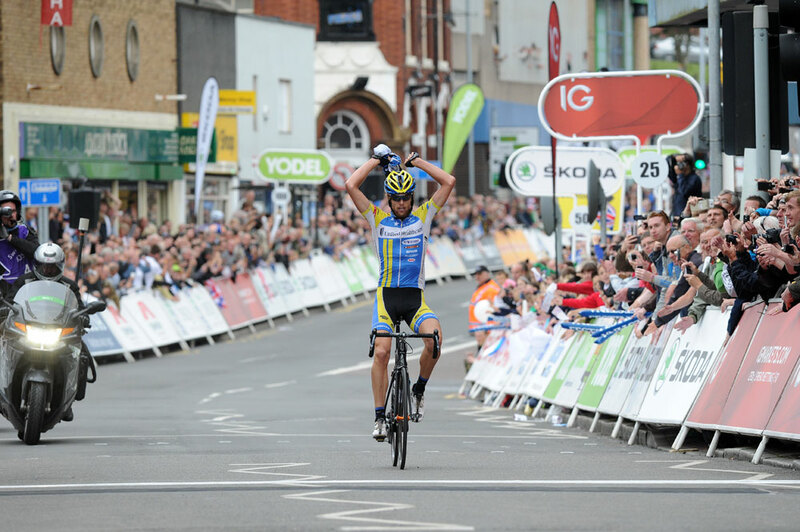 In fact the explosive climber, who was last year’s mountains classification winner, lit the fuse of the race on Gun Hill and proved he is climbing with the best of them in 2012. 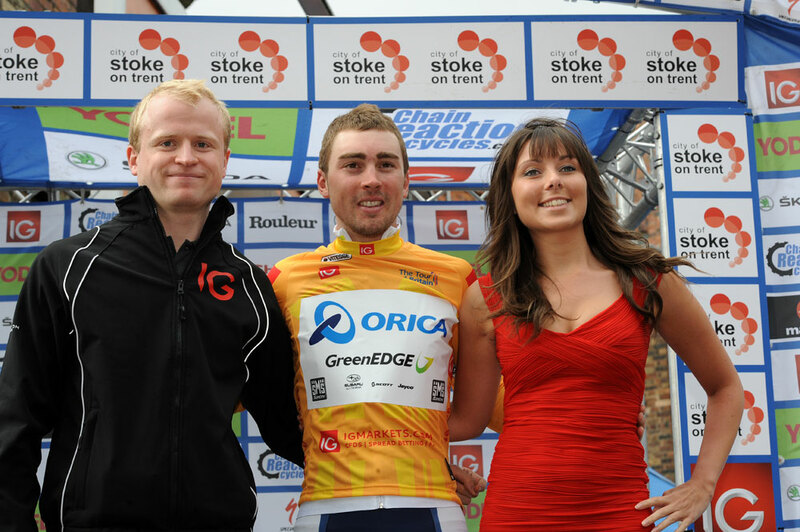 Australian Leigh Howard (Orica-GreenEdge) reclaimed the leader’s jersey after making the front group and finishing fifth. 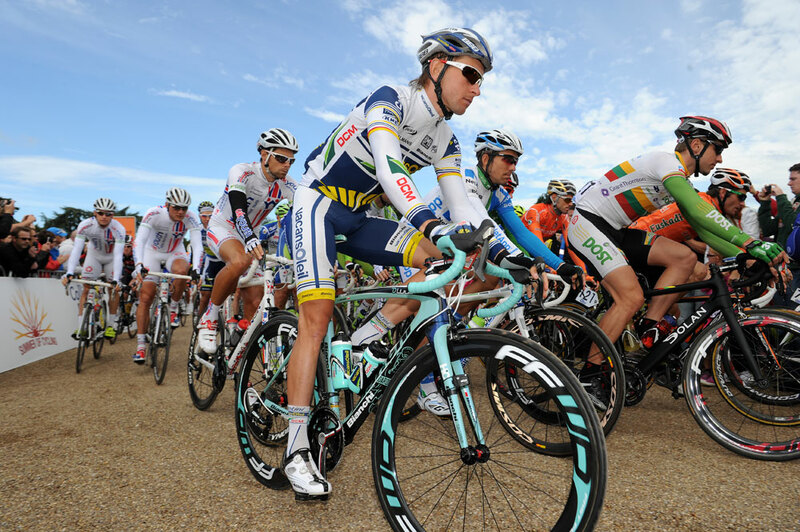 He and Sep Vanmarcke, although not the best climbers, could also be dangerous as the race heads to Wales. Italy’s Ivan Basso (Liquigas-Cannondale) had enjoyed a quiet Tour of Britain so it came as a bit of a surprise when he livened up proceedings on the traditional ‘Stoke stage’ of the race. He, Bernie Sulzberger (Raleigh-GAC) and Bartosz Huzarski (NetApp) were the first to break clear but only Basso had the strength to battle the biting gusts and hammering changes in gradient as he made a solo bid with 50km left. As Basso toiled, the peloton behind reached boiling point along the exposed moors of the Peak District before the inevitable split formed. The road wound its way up, down and around the heather and dry-stone walls with riders coming and going between groups while the pace undulated in response. In a peculiar move, Bradley Wiggins was spotted turning his bike around and riding back towards his team-mate Mark Cavendish, a wry smile fighting it’s way past the Tour champion’s calm veneer as he nodded for the TV cameras to move along while he repaid the domestique duties to the World Champion. Endura Racing and Paul Voss in particular was instrumental in keeping the pace of the leaders high going into the final 45 minutes as Tiernan-Locke looked to make the most of the opportunity and stake his credentials for the overall. 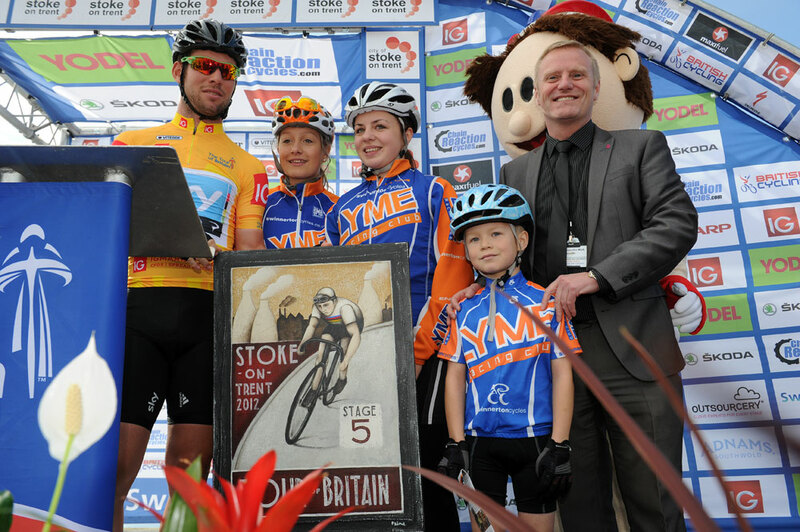 Ultimately it was a thrilling finish in a slightly underwhelming Stoke suburb that brought the most exciting stage of the race so far to a close. It was a quality win for De Maar, and the top of GC is left in an intriguing situation with three difficult stages left to race.